A state or federal drug conviction can severely affect your life and your future, regardless of whether it is a misdemeanor or felony charge. 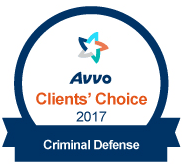 When choosing a criminal defense lawyer to represent you at this critical juncture, you need someone with significant experience and an aggressive approach that gets results. 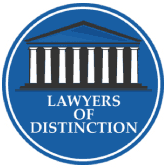 That is what you can expect from Olsen Law Offices, P.C., L.L.O.. and Attorney Tom Olsen, a Former Assistant State Attorney General and Assistant Omaha City Prosecutor with three decades of trial experience. 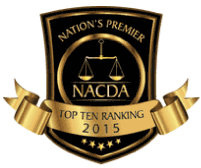 Attorney Olsen has successfully defended thousands of clients from across the country. His results speak for themselves. One Attorney Olsen client faced a possession with intent to deliver allegation with more than 1,500 pounds of cannabis, one of the biggest marijuana stops ever in Nebraska. A full investigation by Attorney Olsen found insufficient evidence to support the charges, and he negotiated a full dismissal for the client. When you need adept legal representation, Attorney Olsen is the dedicated drug charges attorney you want fighting for you, whether it is a marijuana, heroin, methamphetamine, or cocaine offense. This includes drug trafficking and drug manufacturing charges. Since neighboring Colorado legalized recreational cannabis, Interstate 80 has become a hunting ground for law enforcement searching for individuals transporting legally purchased marijuana. These arrests often stem from questionable police practices, including unjust traffic stops and drug dog searches, along with illegal search and seizure. 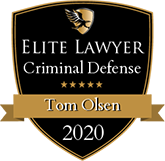 Attorney Tom Olsen fights for individuals whose rights have been violated by law enforcement. His thorough investigation of your case will reveal any police improprieties, and if misconduct occurred, he will ask for a full dismissal. If a plea deal provides the optimal route to a positive resolution, Attorney Olsen's reputation and familiarity with prosecutors throughout the state can prove invaluable. Drug arrests involving out-of-state residents are common in Nebraska, as police often tail and pull over rental vehicles and those with license plates from other states. If you or a family member live outside Nebraska and were arrested here for a drug violation, contact Olsen Law Offices, P.C., L.L.O.. and Attorney Tom Olsen as soon as possible. Attorney Olsen's goal is to get you the best possible deal with the least amount of inconvenience. This includes a request for bail terms that allow you to return home, and a waiver so Attorney Olsen can appear for you at your initial plea hearing. You might not be required to come back to Nebraska until Attorney Olsen negotiates a favorable plea agreement or dropped charges due to police illegality. 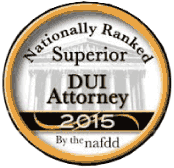 If you need immediate legal assistance, call Olsen Law Offices, P.C., L.L.O.. at 402-598-5789 for a free consultation. For a full analysis of your case and a blueprint of how Attorney Tom Olsen can help, contact a 24/7 Papillion defense lawyer today. We also serve clients in Lincoln, Lancaster County, Lincoln County, Seward, York, York County, Aurora, Hamilton County, Grand Island, Hall County, Kearney, Buffalo County, and North Platte.